Our junction is blocked…some travelers in Elgin should try a different route this morning. Shortly before 9:45 am today (Tuesday, Febr. 27) a truck hauling a wind tower section attempted to turn west onto Highway 70. 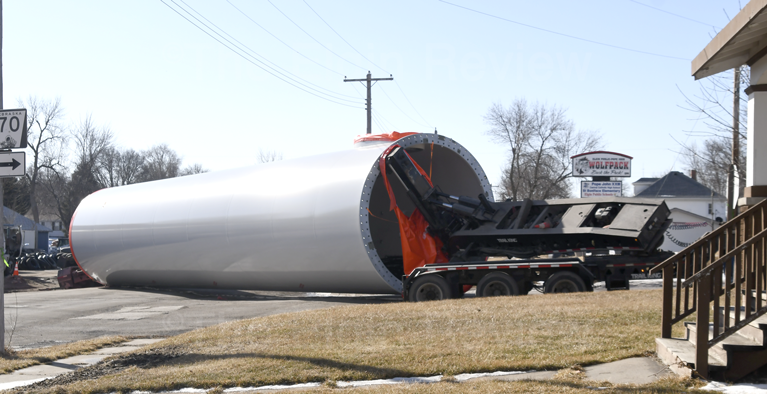 In the process, a portion of the truck bed tipped over, depositing the tower section onto the highway. It is resting at a angle, blocking traffic from passing through the junction.